TASS, April 8. The United States calls on the Libyan National Army (LNA), loyal to Field Marshal Khalifa Haftar, to immediately stop its offensive on the Libyan capital of Tripoli, US Secretary of State Michael Pompeo stated. "The United States is deeply concerned about fighting near Tripoli," Pompeo was quoted as saying in a statement posted on the official website of the US Department of State. "We have made clear that we oppose the military offensive by Khalifa Haftar's forces and urge the immediate halt to these military operations against the Libyan capital," Pompeo stated. "This unilateral military campaign against Tripoli is endangering civilians and undermining prospects for a better future for all Libyans," the statement from Pompeo reads. "Forces should return to status quo ante positions. 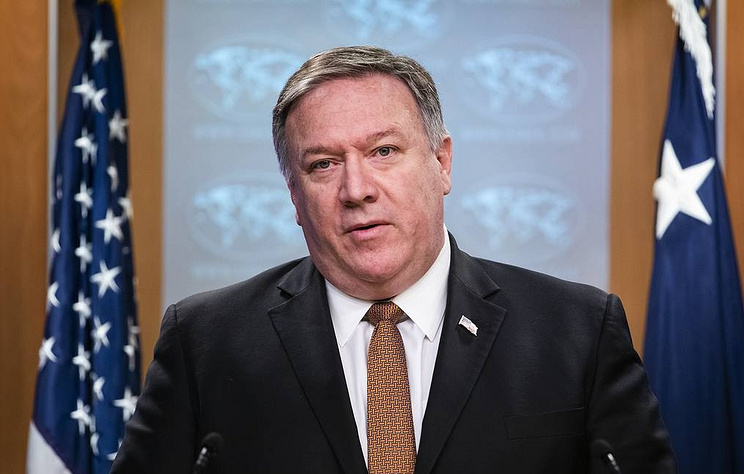 All involved parties have a responsibility to urgently de-escalate the situation, as the UN Security Council and G7 ministers emphasized on April 5," the US secretary of state said. 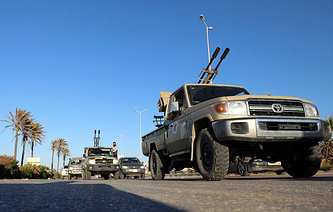 On April 5, the UN Security Council urged the Libyan National Army (LNA) and the interim Cabinet of Abdullah Al-Thani, to avoid military confrontation. The UN Security Council members also declared their full support to the reconciliation effort in Libya pursued by UN Secretary General Antonio Guterres and his special envoy to the country, Ghassan Salame. "There is no military solution to the Libya conflict," according to Pompeo. "This is why the United States continues to press Libyan leaders, together with our international partners, to return to political negotiations mediated by UN Special Representative of the Secretary-General Ghassan Salame." "A political solution is the only way to unify the country and provide a plan for security, stability, and prosperity for all Libyans," the statement added. Currently, there are two governments in Libya: Tripoli’s Government of National Accord led by Prime Minister Fayez al-Sarraj and recognized by the international community and the interim Cabinet of Abdullah Al-Thani, who is acting in the country’s east together with the elected parliament and supported by the Libyan National Army of Field Marshal Khalifa Haftar. On April 4, Haftar announced the launch of an offensive on Tripoli. Meanwhile, Sarraj ordered all military units subordinate to him to brace for a defensive operation.